Given the confusion surrounding them, we went in search of a medical perspective. Concussions can affect how you learn in school and your behavior. They are also dangerous in the long run. 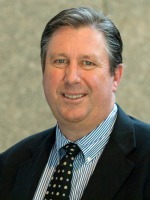 Dr Jim Hudziak, M.D. Professor of Psychiatry, Medicine and Pediatrics, Director of The Vermont Center for Children, Youth and Families at the University of Vermont School of Medicine, believes that there is an alarming trend of underreporting in sports. This reporter attended a seminar held at UVM which was conducted by Dr Hudziak, in the Given Building Carpenter Auditorium. Around 40 to 50 people listened in on this lecture, followed by a question and answer session. Dr Hudziak is conducting these lectures throughout Vermont. The next seminar will be held December 1 at UVM Medical School. Dr. Hudziak is very specific about outlining the perils of receiving concussions to the maturing brain. brief loss of consciousness after the injury, memory problems, confusion, drowsiness or feeling sluggish, dizziness, double vision or blurred vision, headache, nausea or vomiting, sensitivity to light or noise, balance problems, slowed reaction to stimuli. The importance of this topic upon the health of young athletes cannot be understated. The frontal lobe is one of the most at risk part of the brain. It starts to officially develop between ages 14-22, and helps you decide how you identify yourself: whether you are nice, angry, etc. This happens when most youths are at risk of concussions from school sports. Hudziak and his team were so concerned that they conducted a baseline test following 20-25 junior hockey players and recorded their brain images for over a period of time (2 seasons). In those two seasons (74 games) there were a total of 5200 hits where the head was involved. That averages out to 185 hits per player, yet there were only ten actual diagnosed concussions. So Hudziak’s team looked even further to identify a pattern of underreporting. In a seven year data collection of high school and college hockey players ages 17-21 years old, approximately 100,000 head impacts were recorded. Individual players received around 750 head impacts, however only 120 of those were considered concussions. But Hudziak’s team found that between 8 to 9,000 of those impacts were recorded at a higher magnitude and yet not labeled as concussions. We are left to speculate why there is this epidemic of underreporting and at what cost to young athletes. Dr. Hudziak also talked about “hyperintensities,” bright little dots in your brain which can form after receiving a concussion His research shows that many athletes have more of these hyperintensities than a less active person their age. These White Matter Hyperintensities (WMH) have been linked to cognitive disorders and impaired balance. Researchers have found that the speed of your cognitive processes and frontal skills may also be impaired. “As a general rule of thumb, you’re allowed one of these bright spots every 10 years of your life,” Hudziak says. But alarmingly, many young athletes already have as many WMH as an 80 year old with Alzheimer’s. White Matter Hyperintensities significantly increase the risk of strokes, cognitive decline, dementia and death. The Chronicle was compelled by this information to ask how students at U-32 have dealt with concussions. In Part Two of this series, we interviewed several students who have received concussions and how they have been affected by them.